Remember the ever so popular Coppercraft Guild Plastic Wall Art from the 70's? 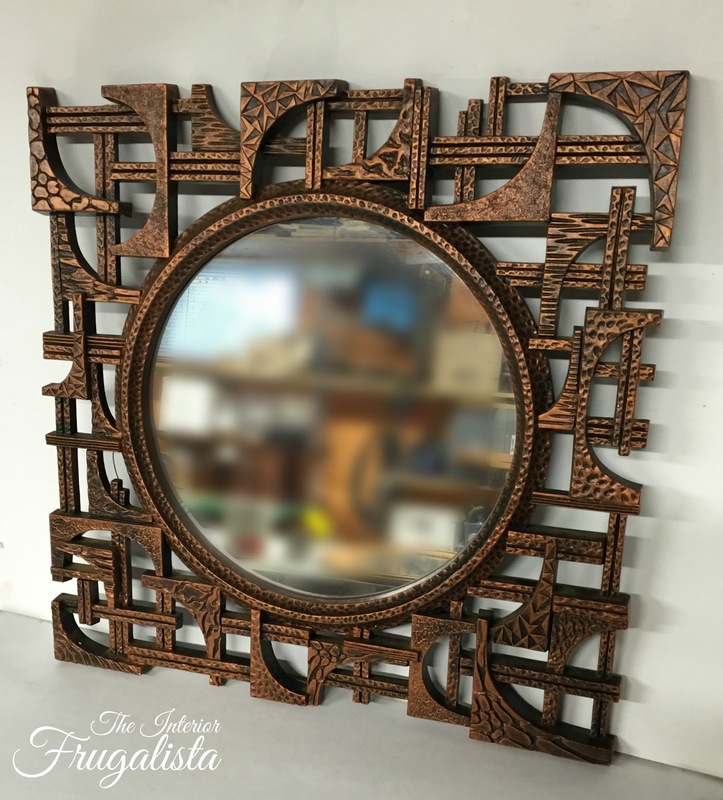 Recently during a trip to Goodwill, we picked up a mirror for under $5.00. 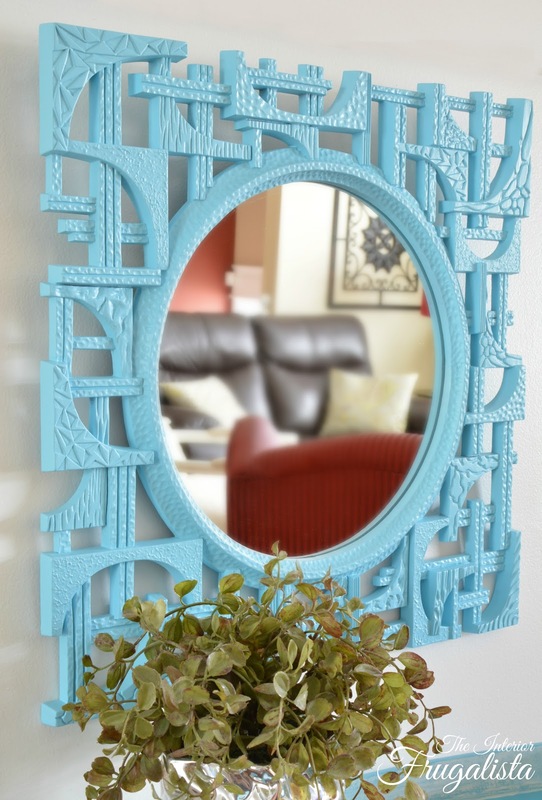 What I like about this mirror is the texture and knew painted in a bright color like Aqua, those details would pop. 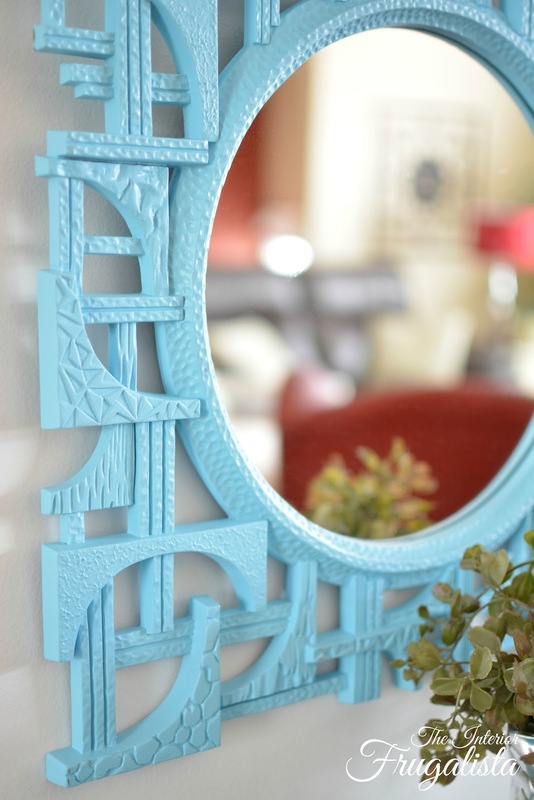 So this week on Frugal Decor Tuesday I'm sharing How To Quickly Update An MCM Coppercraft Mirror. See all that texture? 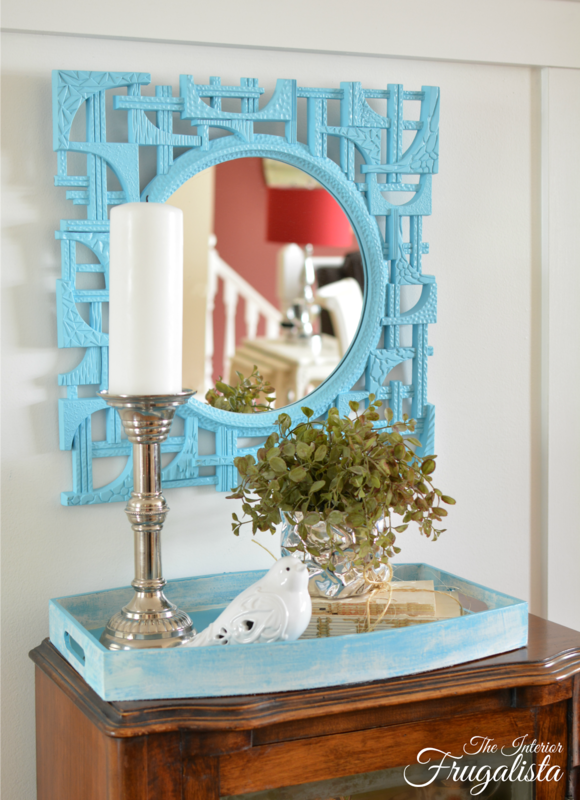 I just love how they popped with just a few light even coats of Rust-oleum Painter's Touch Ultra Cover Satin Spray Paint in the color Aqua. After the final coat dried I protected it with two coats of Rust-oleum Painter's Touch Ultra Cover Clear Coat. I don't use spray paint often but when I do, this is one of my favorite go-to colors. Last summer I painted a Bistro Set in this color and it sold very quickly. I think it looks so fresh and modern and would look great in any room. 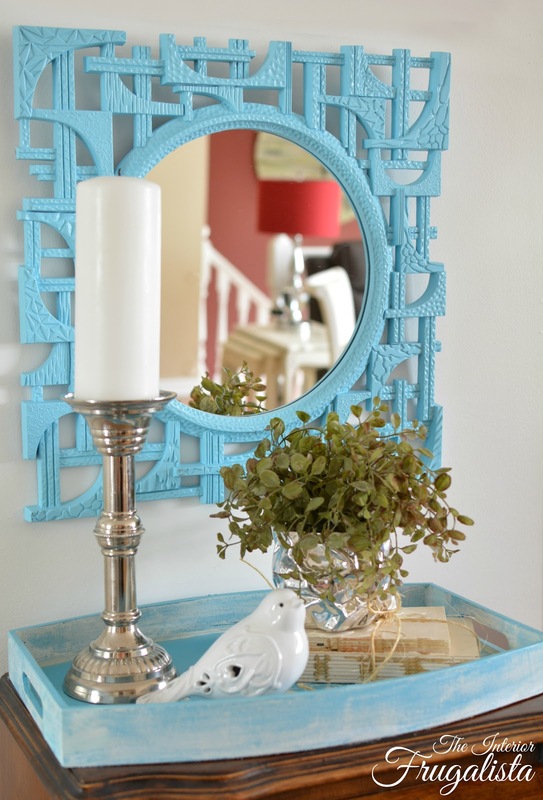 The turquoise whitewashed tray is also a plastic thrift store find that I brought back to life last year. You can catch that makeover here at Plastic Tray Refresh. 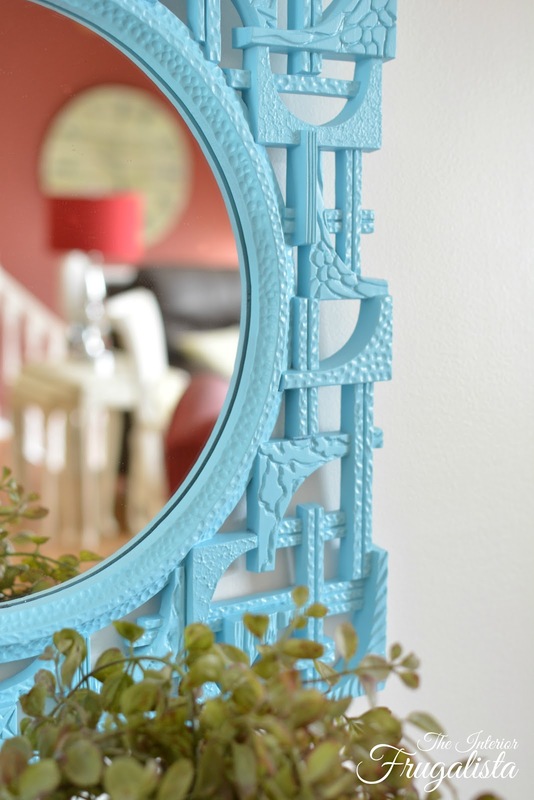 If you liked this MCM Coppercraft Mirror Refresh, share it with a friend and/or save it on Pinterest. 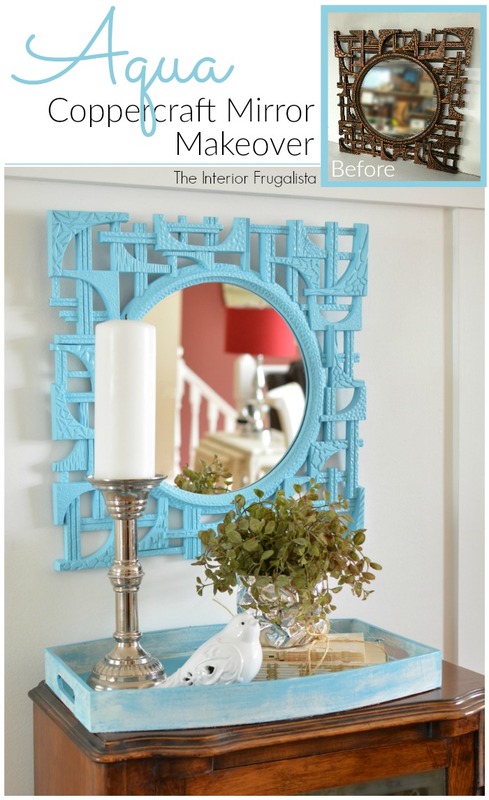 Thanks for joining me for another edition of Frugal Decor Tuesday. 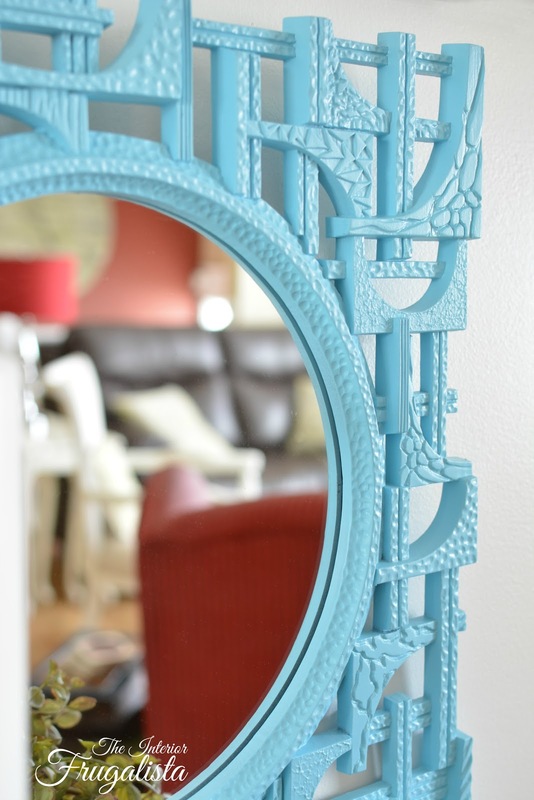 Which do you prefer, the mirror before or after? Before I end this post, did you catch the Between The Lines series last Tuesday? I was one of the lucky bloggers to be featured in the first edition. If you missed it, you can catch that post HERE. Between The Lines is a new blog series that takes a peek into the lives of bloggers over the age of 50. Every Tuesday for the next nine weeks, a group of bloggers will be interviewed and featured by Katherine at Katherine's Corner. You can catch Week Two of this series HERE. For those of us "seasoned" bloggers, it's a great way to meet other bloggers in the Nifty Fifty Club! You'll find this project linked up at these fabulous parties.